It’s officially Spring! When the temperature climbs and there’s more daylight in the evening, it’s perfect for house hunting! Read More to see how the Central Ohio real estate market did in February and to view trends. The number of Homes For Sale in February 2019 was 2634 units. The number of Homes Listed in February 2019 was 2047 units. The number of Homes Closed in February 2019 was 1575 units. The number of Homes Placed Under Contract in February 2019 was 2385 units. The Average Price per Square Foot on Sold homes trend was Neutral. * In February 2019 the Average Price Per Square Foot was $123. The Average Days on Market in February 2019 was 44 days. 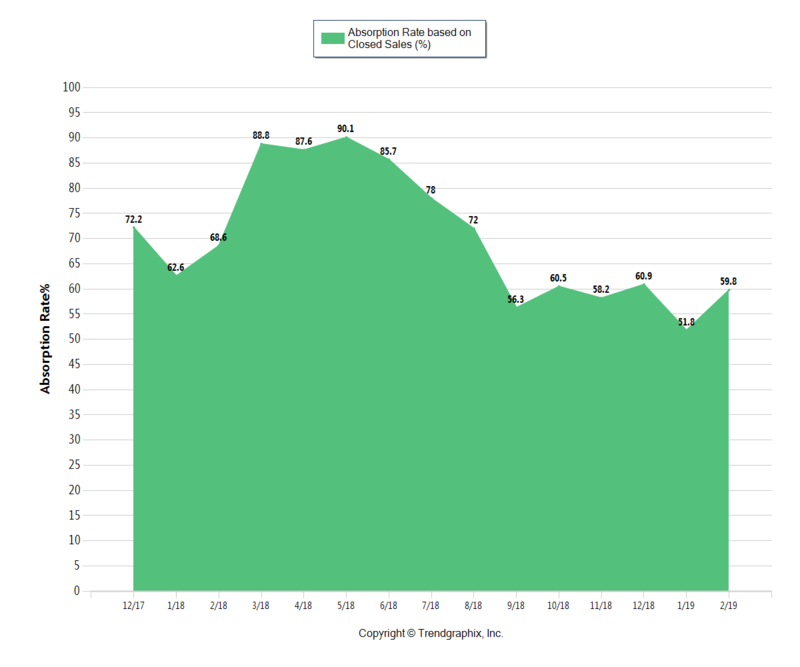 The Sold/Original List Price Ratio was Steady* at 96% for February 2019. 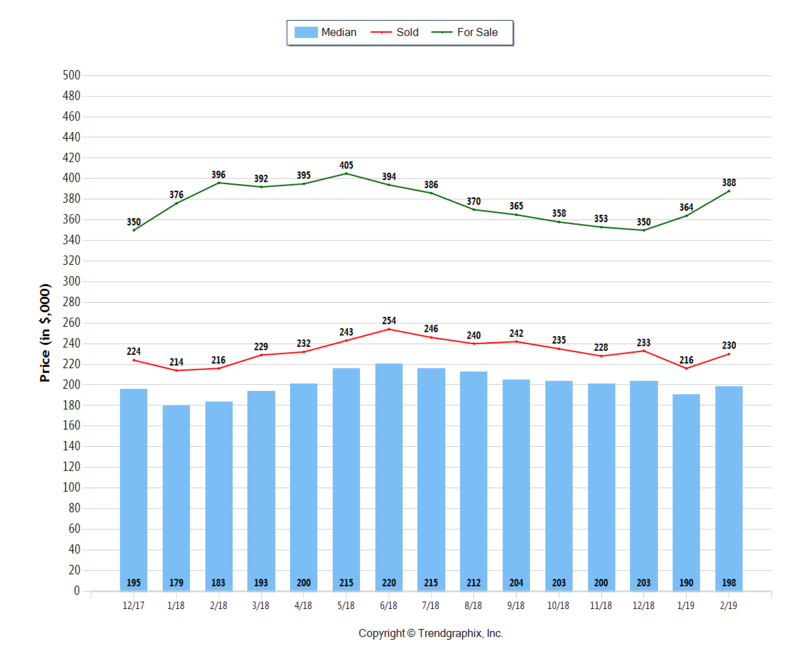 The Median Sold Price trend was Neutral. * The Median Sold Price for February 2019 was $198k. 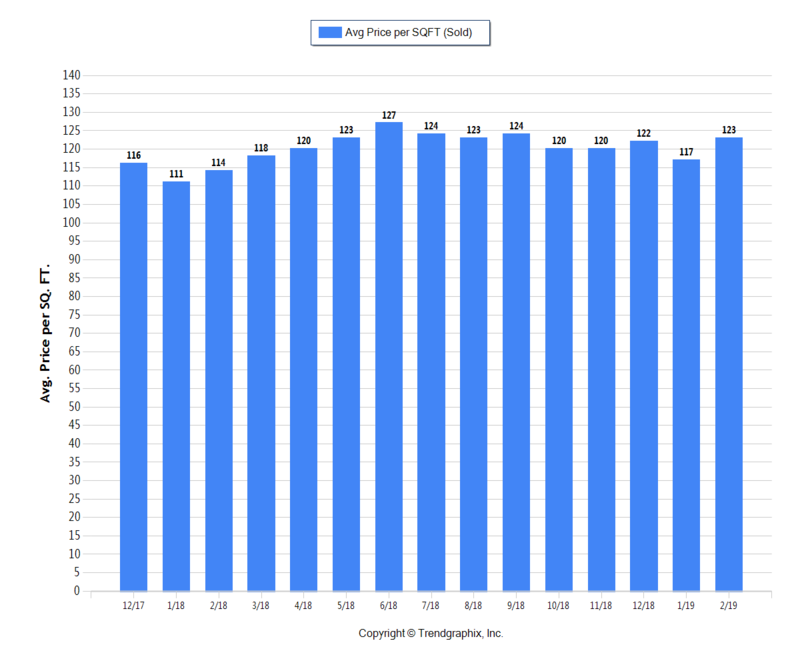 The Average For Sale Price trend is Appreciating. * The Average For Sale Price in February 2019 was $388k. The Average Sold Price trend is Neutral. * The Average Sold Price in February 2019 was $230k. 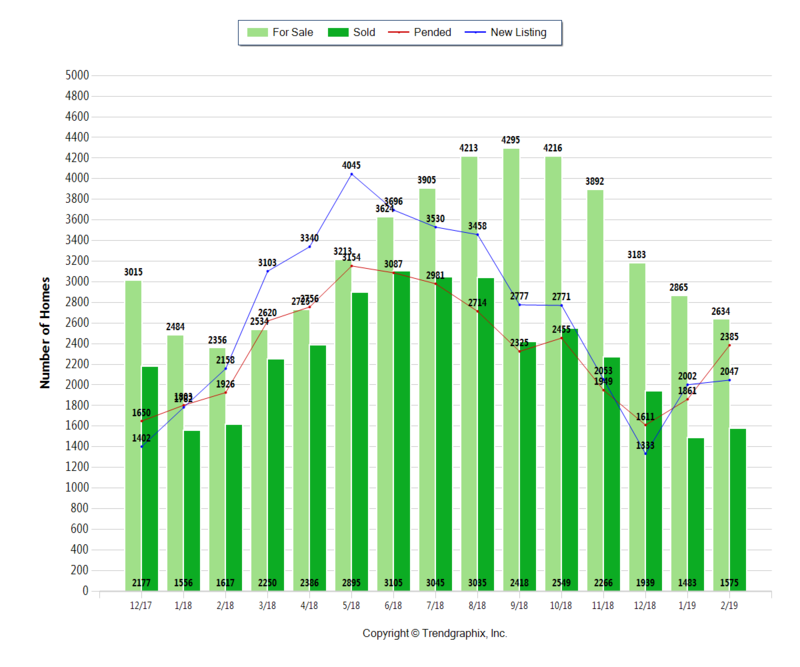 It’s still a Seller’s Market* in Columbus, Ohio! While down compared to last month, inventory rose compared to the same time last year. The Months of Inventory based on Closed Sales in February 2019 was 1.7. 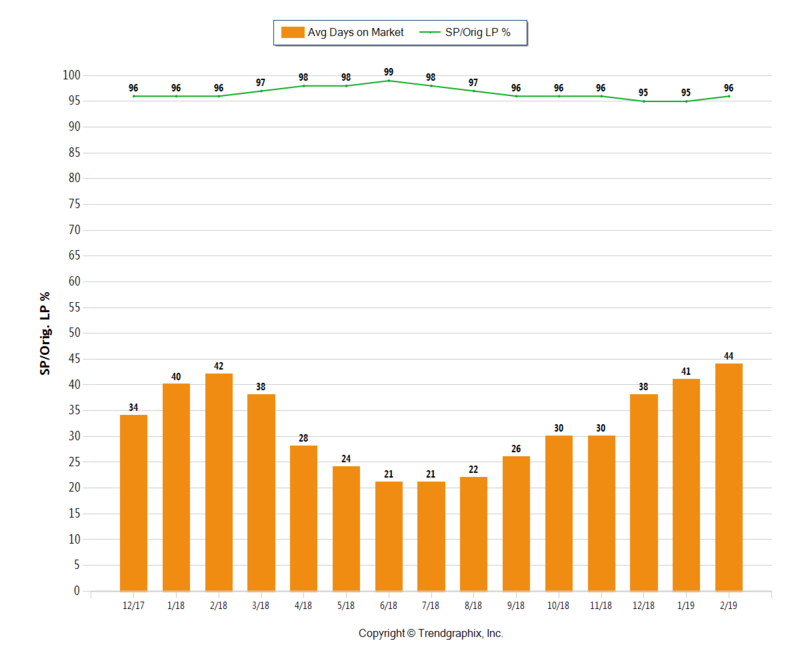 The Absorption Rate based on Closed Sales in February 2019 was 59.8. Planning to sell your home soon? There’s still time to take advantage of the Seller’s Market. More daylight in the evening and warming temps means we’re coming into House Hunting Season. Home buyer activity will pick up. Activity will also increase as many people put tax refunds towards a home purchase. 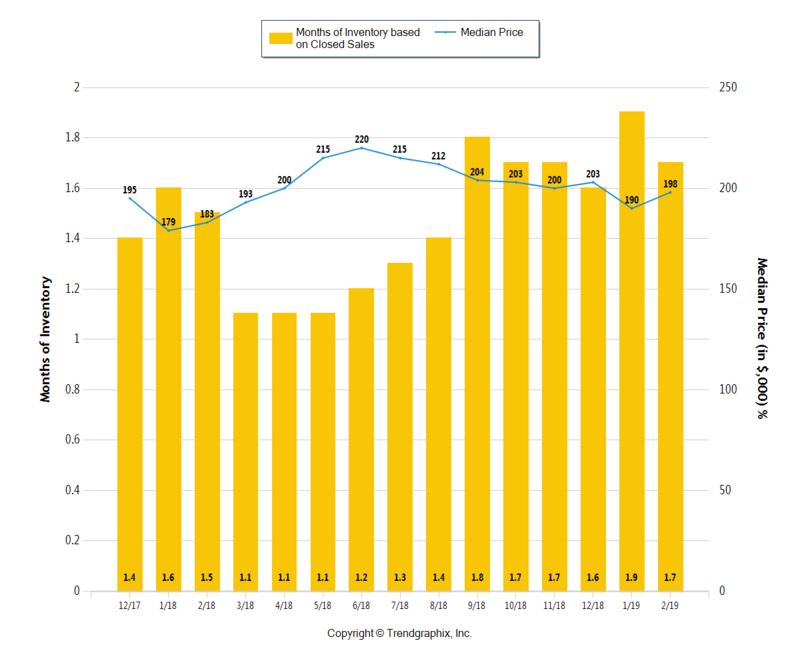 Note: Central Ohio’s current Seller’s Market is driven by lower priced homes due to higher demand and lower inventory. Higher priced home sellers may find they are in a Buyer’s Market. It’s extremely important to work with an expert, prep your home for sale, and list at a competitive price. If you want to list and sell your home this spring, talk with a top Columbus Realtor about getting your home ready. 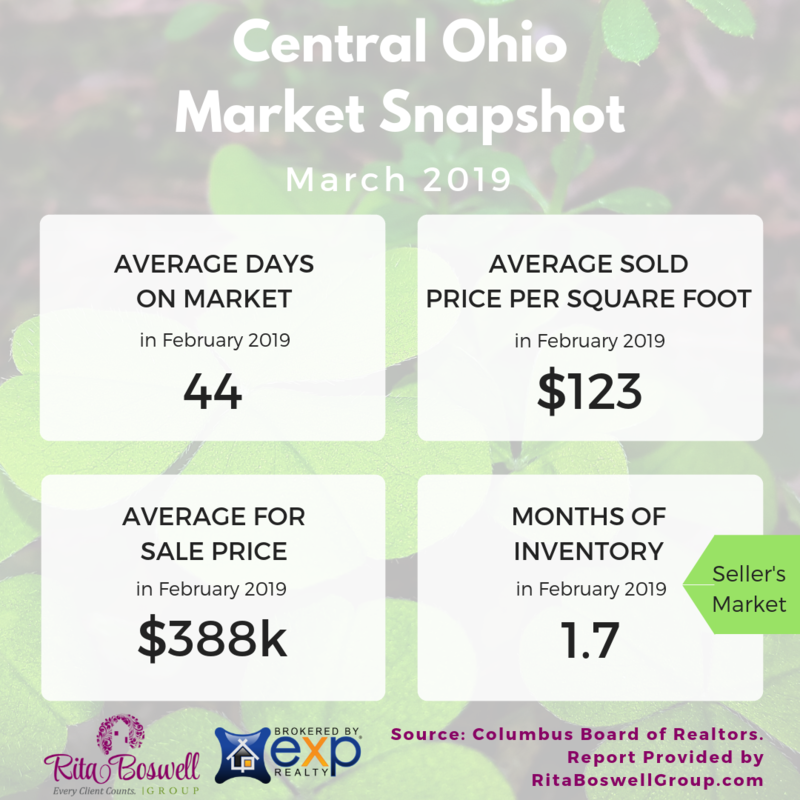 Call or text Columbus Realtor Rita Boswell at 614-547-3229 to learn more about market conditions in your specific community. Rising inventory may be a good sign for struggling buyers. For starter homes, though, inventory remains low and demand high, so there will still be heavy competition in the lower price ranges. Serious home buyers need to be ready before they find the perfect home. Consult with a mortgage professional to determine your budget. Work with a Top Home Buyer Agent to help you find homes that fit your needs and budget, and be ready to make a competitive offer when you find the right home. “At the Rita Boswell Group, our goal is to provide home buyers and sellers with the most recent, in-depth market information possible.